A couple of shots we snapped of new RTVs still in their packaging! 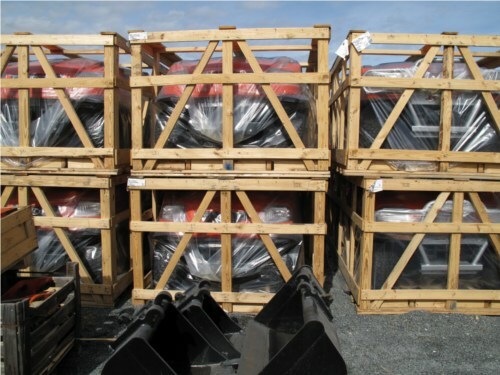 Even larger equipment is also stacked – B, L or M series included. 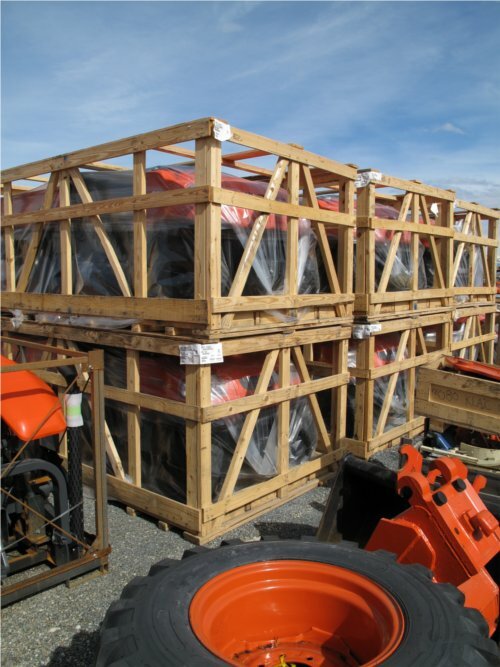 The gents in the shipping department skip the wood frames in the case of larger equipment and stick to steel cages that better protect the orange paint. It is a long boat ride across the Pacific! 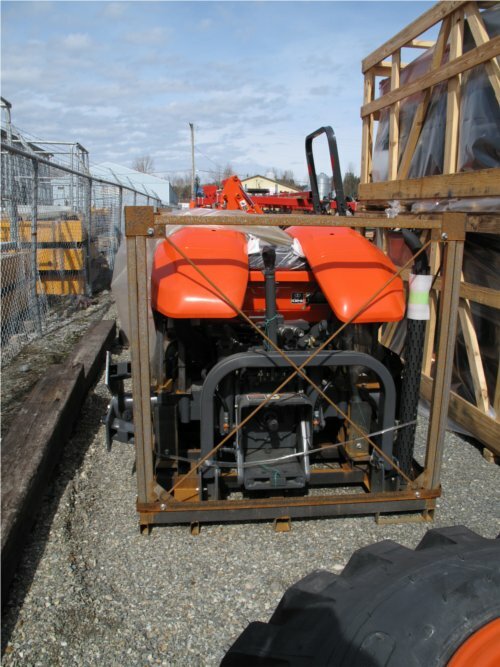 Here we have a M7040 that is folded up nicely to fit into its enclosure. I’d imagine a dozen or more of these would fit into a standard size shipping container. 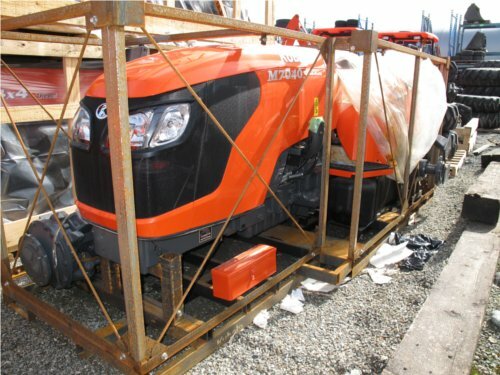 Better make sure your forklift is in good running order. Anyone want to guess what is inside every orange box that is included? No really – I forgot to open it up and take a look when I had the chance! 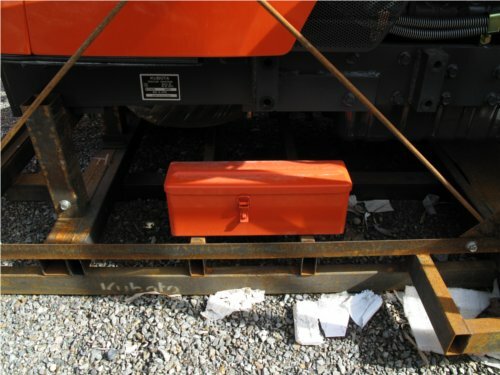 The orange box is the tractor toolbox. It has some of the hardware required to setup the tractor. How about lifting that big bugger up to put the wheels on? Not a job for the jackall thats for sure! !